Flotta extra heavy pizza sauce with dried basil is a non-standardized product. 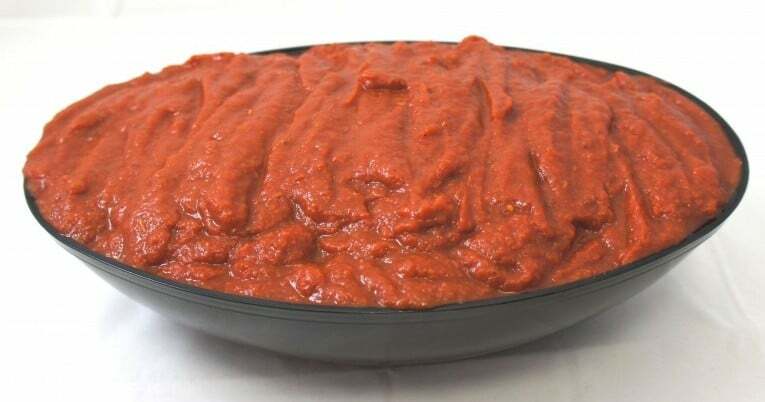 It is prepared from tomatoes that have been washed, and inspected prior to being chopped, strained and evaporated. Flotta extra heavy pizza sauce with basil has a coarse finish and may contain seed particles and an occasional whole seed. It has a bright red color.